These records include details of 107, 373 habitual criminals for the period 1881 – 1936. These are the registers of habitual criminals kept by the police and circulated among the force on a regular basis. They include a detailed physical description noting all distinguishing marks and a full criminal record with notes on whether the convict had been apprehended. 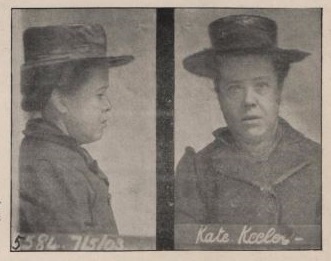 Some records are from the Police Gazette appendix which included photographs of some of the prisoners. Also included is a list of 5,824 habitual drunkards from the period 1903 to 1914, which would have been circulated weekly to licensed persons and secretaries of clubs. They usually contain two photographs of each drunkard: face on and profile.